If the shift lever is not set in P, the engine may not be started. The smart key system indicator light (green) will turn on. 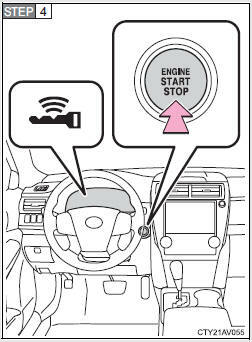 If the indicator light does not turn on, the engine cannot be started.